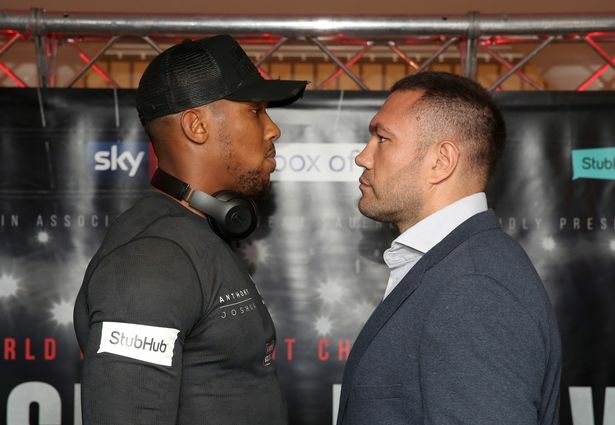 If Bob Arum’s game plan unfolds the way the legendary promoter hopes, Kubrat Pulev will win Saturday night and challenge Anthony Joshua in his following fight. Bulgaria’s Pulev (27-1, 13 KOs) is the mandatory challenger for Joshua’s IBF heavyweight title. The 37-year-old contender first must overcome Romania’s Bogdan Dinu (18-1, 14 KOs) in a scheduled 12-rounder ESPN will televise live Saturday night from The Hangar in Costa Mesa, California (10 p.m. ET/7 p.m. PT). Brooklyn’s Jarrell Miller (23-0-1, 20 KOs), who’ll challenge Joshua on June 1 at Madison Square Garden, stopped Dinu in the fourth round of Dinu’s last fight, November 17 in Mulvane, Kansas. Pulev most recently defeated England’s Hughie Fury (21-2, 11 KOs) by unanimous decision in their 12-rounder October 27 in Sofia, Bulgaria. Arum’s Top Rank Inc. signed Pulev to a co-promotional agreement late last year. He has no problem having Pulev challenge England’s Joshua (22-0, 21 KOs) in a fight streamed by DAZN in the United States, as long as the money is right. Assuming Pulev and Joshua win the upcoming fights in which they’re favored, Arum anticipates Pulev challenging Joshua as early as September. Pulev, who has lost only to Wladimir Klitschko, was supposed to box Joshua in October 2017. He suffered a shoulder injury and withdrew from their fight less than two weeks before it was scheduled to take place at Principality Stadium in Cardiff, Wales. I suspect Arum was hoping AJ would vacate having already become undisputed and thereafter only interested in higher value fights than Pulev. [QUOTE=vaborikua2014;19610541]Fixed it for ya[/QUOTE]If that was the case, we would have the rematch on May 18th!